Leadville by Freedom Munitions .38 Special 125gr RNFP Rounds - Box of 50 | BUDK.com - Knives & Swords At The Lowest Prices! 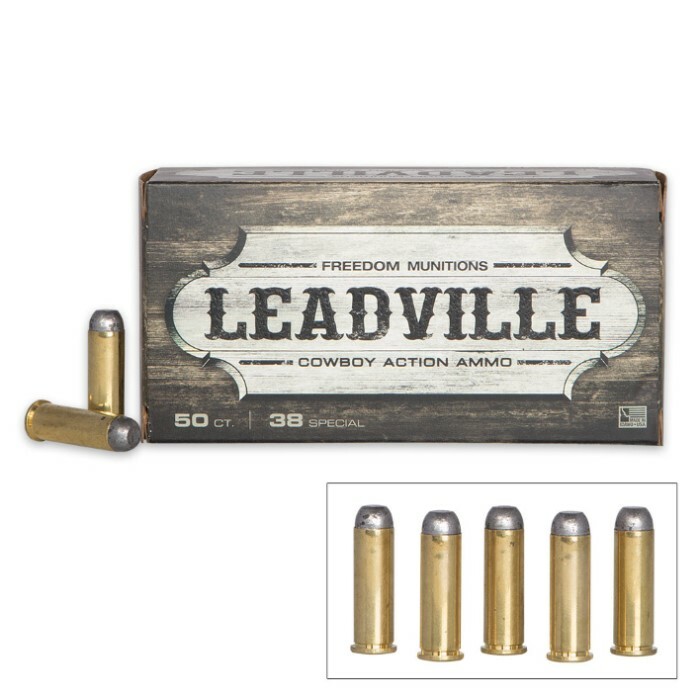 American-made Leadville .38 Special rounds usher an iconic "Wild West" bullet into the 21st century! Perfect for historical shooters and collectors who want modern reliability from their classic-caliber firearms, Leadville by Freedom Munitions offers the loads you need in a ready-to-shoot package. 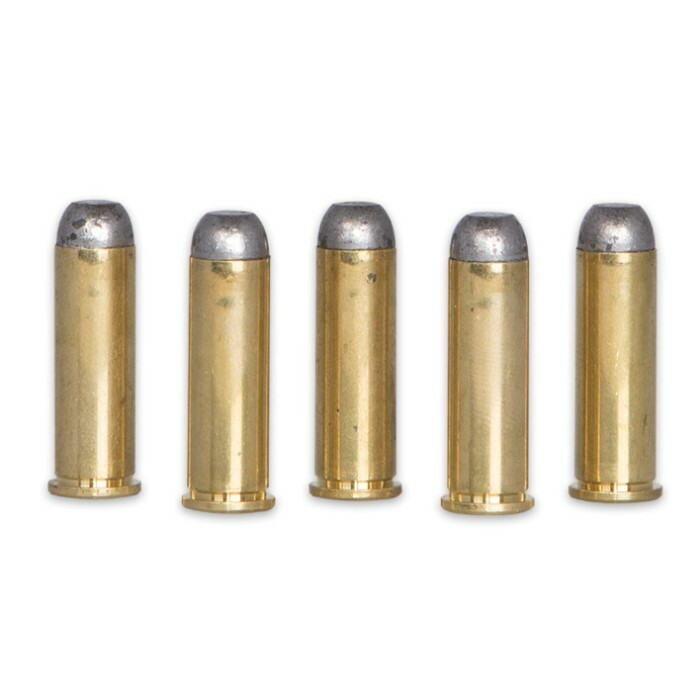 Boasting an impressive 800 fps muzzle velocity, cutting edge X-treme hard cast lead bullets, X-Treme brass cases, and premium powders and primers, Leadville .38 Special rounds are ideal for hard-kicking, dust-biting cowboy action! Like all Leadville/Freedom rounds, the top shelf .38 special rounds in this convenient box of 50 are manufactured by one of America's rising ammo stars - Howell Munitions. In the span of just a few years, Howell has grown from a small Idaho proprietorship to one of the most respected munitions companies in America. Despite a crowded marketplace of well established ammo producers, through impeccable quality control and unrivaled engineering Howell has earned a preeminent place for itself alongside the "big boys" of the US ammunition industry. "Leadville" is just one of Howell's numerous brands, each aimed at specific ammunition needs and preferences. Howell truly has a round for everyone! Regardless of brand, however, every Howell round is designed for flawless performance, utilizing only the most dependable primers, finest case materials and most innovative powders available today. Get the most from your prized rifle or handgun - make the switch to Leadville or any other Howell ammo brand today, and realize a level of performance you've never experienced before!